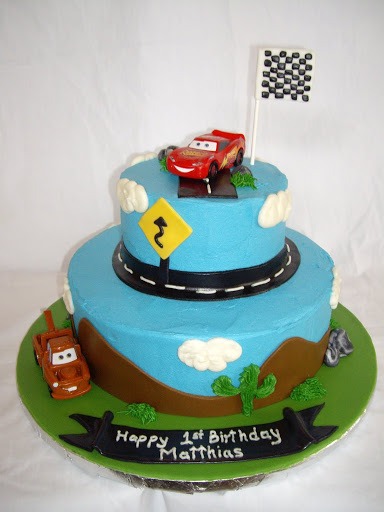 My friend recently asked me if I would make her son's 3rd birthday cake. So, what do you think I replied? I sure would! She told me that they invited 100 people and that their theme was Disney/Pixar Cars. Another thing she mentioned is that she would like a chocolate and Vanilla Cake. With all this in mind my task this week is to create a fantastic cake that will get the approval of a bunch of 3 year olds. Tonight I'm going to re watch the movie with my hubby and try to find inspiration from other sites.